1 Can a Cream Cheese-Decorated Cake Be Left Out Overnight? More berries this week because the little beauties cannot be avoided anytime I step foot into the market — which is often considering I share my life with a person who trucks through fresh produce as fast as I do. Lately, hues of blue and red have been crowding the entrances to my favorite grocery stores, and sadly (for my bank account), it’s been nearly impossible to walk by without placing at least a pint or five into my grocery cart. One of which inevitably gets eaten on the walk home. Since I’ve got a produce drawer stocked with fresh berries, I decided to put them to good use, again, but this time in something that allows their fresh and juicy, delectably sweet innards to shine. I’m all for baked berry desserts but oftentimes, especially on warm summer days, I prefer them in their natural state. Preferably paired alongside something light, like lemon-scented cake and smooth coconut cream. If you’d prefer to use buttercream instead of the coconut cream topping, simply swap it with your favorite buttercream recipe. I topped the trifles with coconut flakes but feel free to omit those (or use shredded coconut) if you don’t have any on hand. If you’d prefer not to make a trifle, simply transfer the cooled cake to a cake stand (or large plate) and top with the coconut cream topping, berries and flaked coconut. The recipe is beautiful and delicious no matter which way it’s served, but the individual trifles make them especially great for picnics and small gatherings. They’re also great for portion control if you’re someone who lacks the ability to contain yourself around lemon-y cake pieces smothered in fresh coconut cream and berries. Preheat the oven to 350 degrees Fahrenheit. Line the bottom of an 8-inch round baking pan with parchment paper; set aside. In a large bowl, sift together the flour, starch, salt, baking powder and baking soda; set aside. In a large mixing bowl, combine the oil, sugar, milk, lemon juice and lemon zest. Stir the flour mixture into the liquid sugar mixture in halves, whisking until after each addition and until all clumps are dissolved. Be sure not to overmix the batter or else your cake will be dense and rubbery. Pour the batter into the prepared pan and bake at 350 F for 24 to 26 minutes, or until a toothpick comes out clean. Allow the cake to cool for about 30 minutes, then invert onto a wire rack to cool completely. Once the cake has cooled, cover with plastic and refrigerate until you’re ready to assemble the trifles. While the cake is chilling, prepare the cream topping. Open the can of coconut milk and scoop the white layer of thick cream off the top; place it into a large bowl. Whisk the cream vigorously, until all clumps have dissolved, then beat in the maple syrup (up to 2 tablespoons, depending on how sweet you take your cream). Cover and refrigerate cream until ready to use. When you’re ready to assemble the trifles, line a work area with 4 to 6 pint jars. 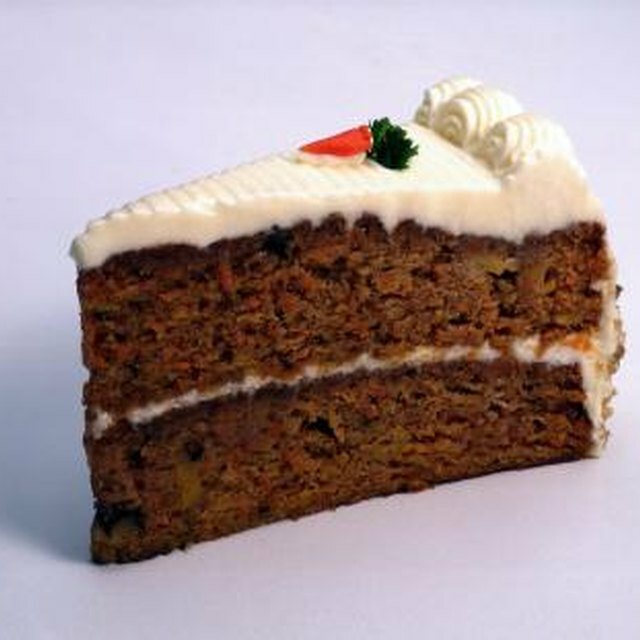 Remove the cake from the refrigerator and cut it into small chunks. Place a few pieces of cake in the bottom of each jar. Top with coconut cream and berries, then repeat the process until the jars are full. Sprinkle with flaked coconut, if using, and serve immediately. Due to the moisture from the coconut cream, I do not recommend storing assembled trifles. However, the cake can be kept covered at room temperature for up to three days, while the coconut cream topping can be kept in the refrigerator for up to five days.